This Request for Solutions is issued to identify a unique solution for an Accelerated Vehicle Durability Testing (AVDT) Drivetrain Simulator. The Government will evaluate the solutions with the intent of negotiating an Other Transaction Agreement under the Training and Readiness Accelerator (TReX). 2.1 The Army requires a drivetrain simulator to test heavy vehicles, with four or five axles and weighing from 23,000 to 80,000 lbs, which can be utilized to estimate the reliability of the vehicle system. 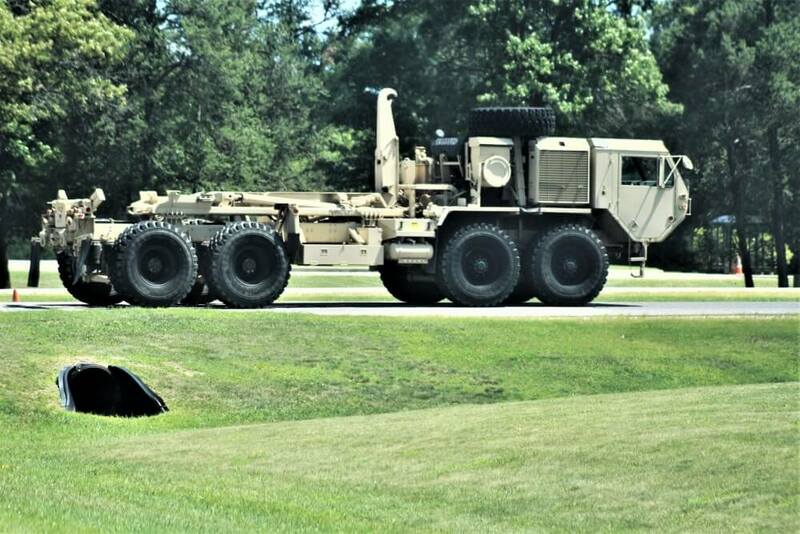 The Army desires to develop a Heavy Vehicle Durability Simulator System, as part of the Accelerated Vehicle Durability Testing (AVDT) program, to include both a chassis simulator and a drivetrain simulator, to accelerate wheeled vehicle reliability and durability testing. Testing will be accelerated four to five times, significantly shortening test durations. This capability supports Department of Defense (DoD) directives to integrate modeling and simulation tools into acquisition development and testing. The ultimate goal is to streamline vehicle acquisition by quickening and improving assessments of vehicle system durability and reliability. The project focuses on stressing high risk chassis and powertrain components on heavy, multi-axle wheeled vehicles, but also extends to reliability of all on-board subsystems such as electronics. This effort will acquire the drivetrain simulator, with the chassis simulator being acquired under a separate effort. The Drivetrain Simulator will test entire vehicle powertrain, including the powertrain mounting structures. The powertrain components will rotate under power with transient loading. The capabilities being prototyped under this effort do not currently exist. 2.2. Vendors interested in responding to this Request for Solutions must be members of the Training and Readiness Accelerator (TReX). discrepancies between this technical supplement and their technical solution. 2.1.1 of the Technical Supplement. The other technical requirements, if not required to satisfy the critical system attributes, should be provided as options to the base simulator system. critical requirement for the Drivetrain Simulator, but the government would like to have this provided as an option to the base simulator system. Phase I, the prototype design development period, is estimated to take up to 12 months to complete after the Other Transactions (OT) award. The vendor will perform periodic reviews and/or demonstrations to show prototype development progress. environment, and the vendor will also provide support during Government operational testing. requirement for system upgrades, system refresh and sustainment support. whom release or disclosure has been made to use, modify, reproduce, release, perform, display, or disclose technical data for United States Government purposes. performance parameters of simulator weight capacity, number of vehicle axles, overall system power, and simulation frequency bandwidth. While these focus areas are of significant importance, responses will be considered as a whole. 4.2 Please provide a red-lined copy of the Attachment 1 Technical Supplement as an appendix to your technical submission. 4.3 Please ensure any assumptions made are clearly stated in your response. 4.4 Your response should clearly outline the appropriate rights in the technical data that will be delivered with your solutions, as well as understanding that the US Army has release authority on any publications related to this prototype project. will be maintained by the Army Test and Evaluation Command (ATEC). package upon delivery and acceptance of the prototype. envisions that training needs to be conducted at the simulator site with provisions for class sizes of 6 to 10 participants and not to exceed two classes. submission shall be submitted in a separate document with no pricing detail provided in the technical response. There is no limit to the page length for the pricing submission. spares package at the conclusion of the operational prototype evaluation period. 4.8 Provide your nontraditional* business status or your ability to meet the eligibility requirements of 10 U.S. Code § 2371b on the cover page of your response. Within your response, please check the following box which applies – with appropriate justification if applicable. There is at least one nontraditional* defense contractor or nonprofit research institution participating to a significant extent in the project. All significant participants in the transaction other than the Federal Government are small businesses or nontraditional defense contractors. At least one third of the total cost of the project is to be provided by sources other than the Federal Government. pursuant to 41 U.S. Code § 1502 and the regulations implementing such section. (CAGE) Code (if available), address, and primary point of contact including phone number and email address. 4.10 All questions related to this RFS should be submitted in writing to initiatives@nstxl.org, with “AVDT Drivetrain Simulator” used in the subject line. Questions must be submitted no later than 12:00 PM EST on October 10th, 2018. Questions received after the deadline may not be answered. Questions shall not include proprietary data as the Government reserves the right to post submitted questions and answers, as necessary (and appropriate) to facilitate vendor solution responses. 4.11 Responses will be submitted no later than 12:00 PM EST on November 16th, 2018. Your response should be submitted electronically to initiatives@nstxl.org, with “AVDT Drivetrain Simulator” used in the subject line. Any submissions received after this time on this date may be rejected as late and not considered. submitted as appendices and are not bound by the 12-point font requirement or page count. Any pages submitted outside of this page length requirement, outside of standard charts and figures, will not be reviewed. Cover page does not count towards page count. requirements in Attachment 1, AVDT Drivetrain Simulator Technical Supplement. provides attributes or partial solutions of value, of the Request for Solutions. seems overly aggressive, the Government will consider that in their total risk assessment. 6.1 The costs of preparing and submitting a response is not considered an allowable direct charge to any government contract or agreement. To view and download the updated request for solutions (RFS) (Amendment 2), the updated technical supplement, or the responses to all questions submitted, click the applicable hyperlinked text below. Active TReX Membership will be required to submit a solution for this RFS. To start your TReX Membership application and finish your registration, please visit TReX Membership. Any questions regarding the opportunity should be directed to initiatives@nstxl.org.